Lean Greens- The health benefits of algae and other superfoods are all over the news lately. 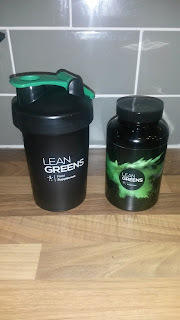 Lean Greens takes veg and makes it into a handy portable drink. The smell is very similar to my Energy Bits but it tastes good (remember to swallow Energy Bits rather than chew). The first ingredient listed for Lean Green is malodextrin (aka sugar, which probably helps with the taste) but I don't know how much sugar there is per serving. I use it as a meal replacement on the Tube if I am running late for work. All you need is a protein shaker and water. And the Lean Greens of course! 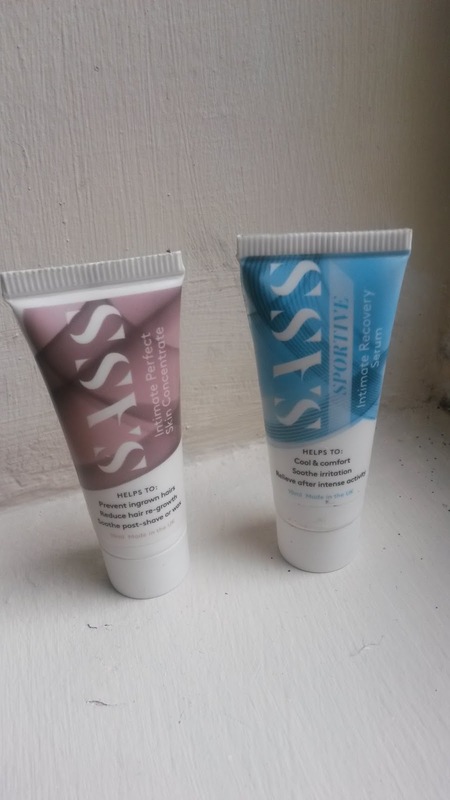 Sass Intimate lotion- I finally was able to try the lotion after a bikini wax (not that I needed one as Florida was too cold and rainy to swim). I used the Sportive Recovery Serum and Perfect Skin Concentrate lotions to help prevent ingrown hairs and to reduce irritation after running and shaving. Neither irritated my skin (which is sensitive due to allergies). I did not try any of these internally (nor will I). Nature knows best when it comes to lady bits. If you regularly wax and exercise, you would really benefit by trying Sass out on your thighs on bikini line. 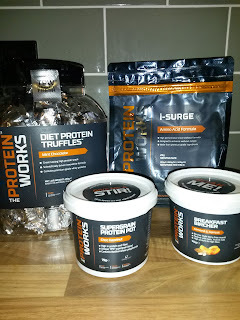 The Protein Works Bircher Breakfast- Very easy to use if you can plan ahead. Simply add water, milk, or nut milk to this pot and leave for a few hours. I added milk and left in the fridge overnight. It was a very fast and filling breakfast. A small spoon is included in the container too. I wish the pot itself wasn't plastic but I don't think cardboard would last overnight with the added liquid. Super handy for camping, early training sessions and life on the go. The Protein Works Diet Protein Truffles- OMG. I think the flavour of the mint chocolate truffles is delicious. My husband doesn't have as big a sweet tooth as I do and said it was pretty good for a protein snack. The size is perfect and with 10.7g of protein, it is pretty filling. I can't wait to try the other flavours. Dr. Bronner's 18-in-1 soap- What amazing smells! 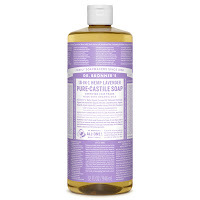 I washed my hair and body with the hemp lavender scent after my marathon. It lathered well but left my hair feeling a little dry. Usually I use conditioner and leave in conditioner, so it felt very different to me. It gave my hair great body though. Supergrain Protein Pot- Similar to the Bircher Breakfast, this superfood pot simply requires hot water. The nutritious ingredients include white hemp, ancient grains, and sunflower protein. It was ready in only a few minutes and tasted like warm brownie mix. It is lactose- and dairy- free too. 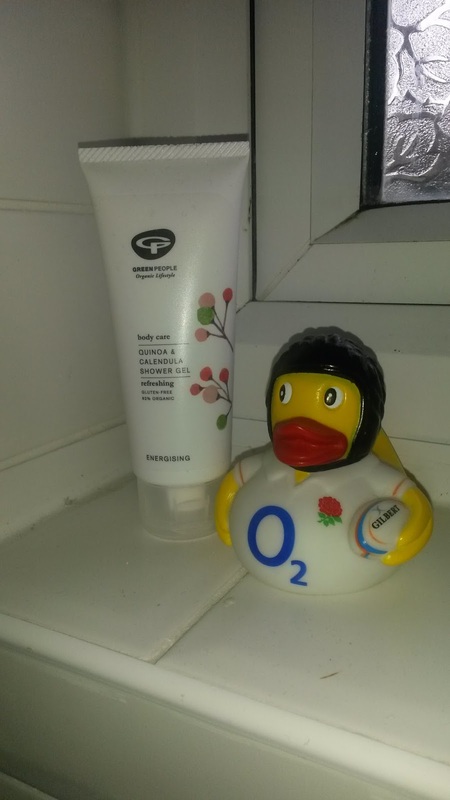 Green People quinoa and calendula shower gel- Another great goody bag find! The smell is subtle, yet refreshing and it feels soft when applied to my hands and skin. The winter wind along with frequent hand washing makes my skin so dry this time of year. This shower gel is a nice treat. 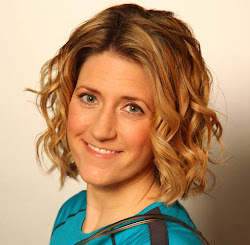 What are you favourite finds lately that makes living healthy and happy a bit easier? All of these items were sent to me as samples in return for a review. All opinions are honest and my own. What can I say? I love to eat!